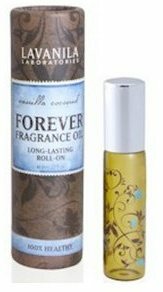 Forever Fragrance Oil radiates from you instead of an oven. gourmand with the delicate sweetness it leaves behind. I also was sent the matching The Healthy Deodorant. seemed to sweat, the more the vanilla coconut emerged. cancer. I will continue using this one. for $25 for the .27 fl. oz. size. Next Post Review: Every Beauty’s All in One Foot Smoother and 3 in 1 Nail File to Make Your Feet and Hands Happy!